Home / Games / NITRO NATION 6: Real drag race licensed cars! What’s new in NITRO NATION 6 MOD? Do you love speed? If the answer is yes, let play this game. NITRO NATION 6 is the latest version of the top online racing game on mobile, now available on Google Play and Appstore, allowing you to download it for free. In addition, the game also supports the Windows platform, you can download and play on the PC. 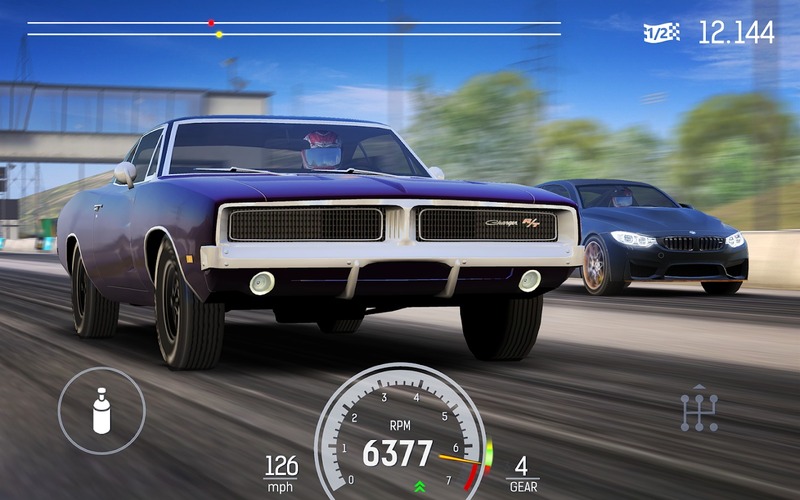 Alongside Asphalt 9, NITRO NATION is also a racing game series that is enjoyed by many players all over the world. The article below will introduce you to the features and how to download this game to your phone. In 1 second, what can you do? Eat a cake or run fast to class for school time. In Nitro NATION 6, 1 second is just enough to get you beat the other players and become the champion. If you have ever played previous versions of NITRO NATION ™ 6, then you will feel quite familiar with the gameplay. You will participate in the race, master your car and leave all the opponents behind. With a simple control mechanism, the challenges and speed will be the difficulty you will encounter in the race. NITRO NATION 6 has some basic modes that you can see in many racing games of the same genre. The first time you open the game, the game starts with a basic training mode for you to get to know and practice your driving ability. Here everything is specifically instructed so that you can familiarize yourself with the controls and basic operations in this game. You’ll develop your driver’s career from an apprentice guy to a master in Arcade mode. In this mode, you will explore the story to unlock new racetracks and more to collect money. The best mode of NITRO NATION 6 is that the game has a Live Multiplayer race, where you can challenge other players around the world. I always wanted to play this mode instead of racing with AI in Arcade mode. Here is where you show your supercar as well as your driving skills. 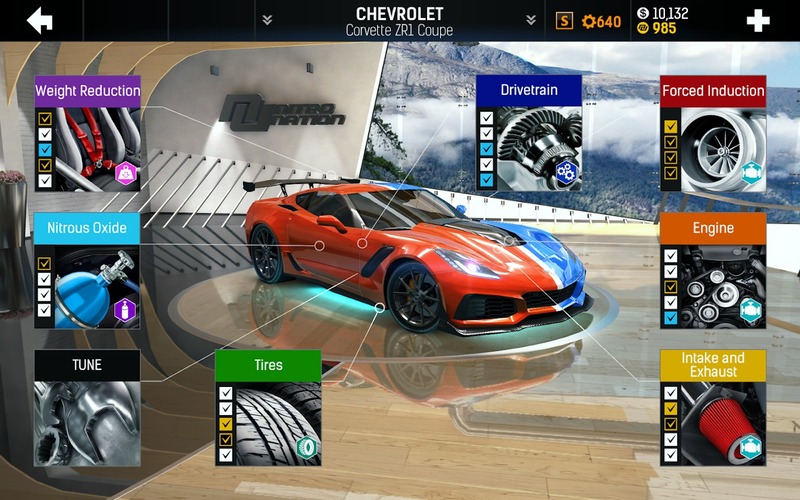 There are more than 50 different types of cars in the game that you can choose to bring to your garage. 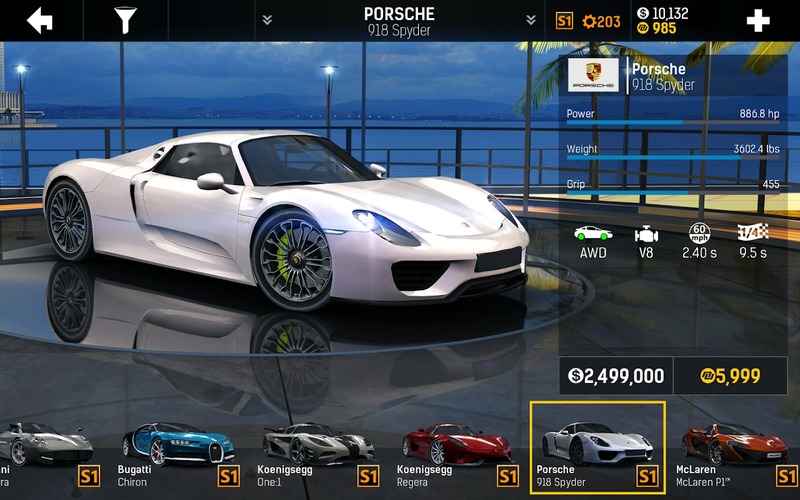 In order to get the supercar, you have to earn money, and the good thing is that after each race you will be rewarded with pretty much amount of money. It’s great when you own the cars and now you can take care of them, you can customize the speed, power and upgrade them with the 33 types of components that NITRO NATION 6 offers you. Not only will your supercar become more luxurious, but it will also significantly increase your stats, making it easy for you to beat other players and become a winner. 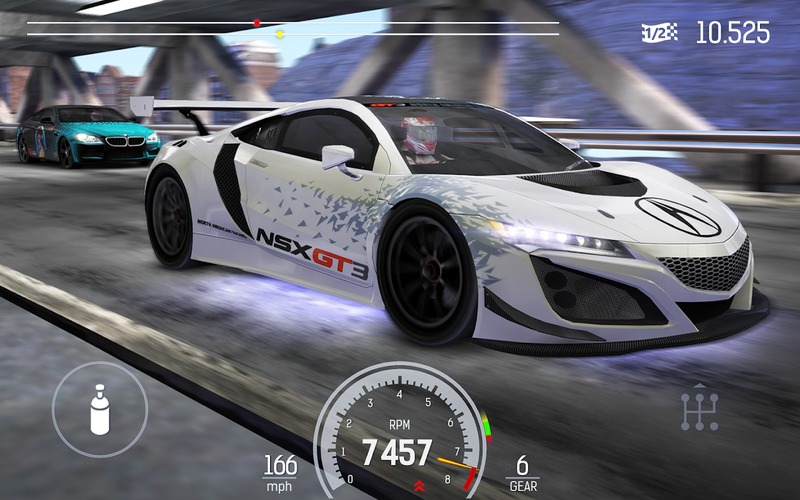 Many players evaluate the graphics of this game is not inferior to Asphalt 9. Compared with the previous, NITRO NATION 6 graphics are superior. Streets and scenery are portrayed as authentic, lively. The game design cars look very lively, realistic in every detail. Moreover, the game has a 360-degree rotating camera feature, allowing you to view the race from every angle and bring the best experience. Do you feel that car repairs are too expensive? Do not worry because NITRO NATION 6 MOD (Free Repair) will help you. You can install the game by downloading the APK and DATA files below this article. Make sure you have uninstalled other versions of the game to make sure the MOD version is working. 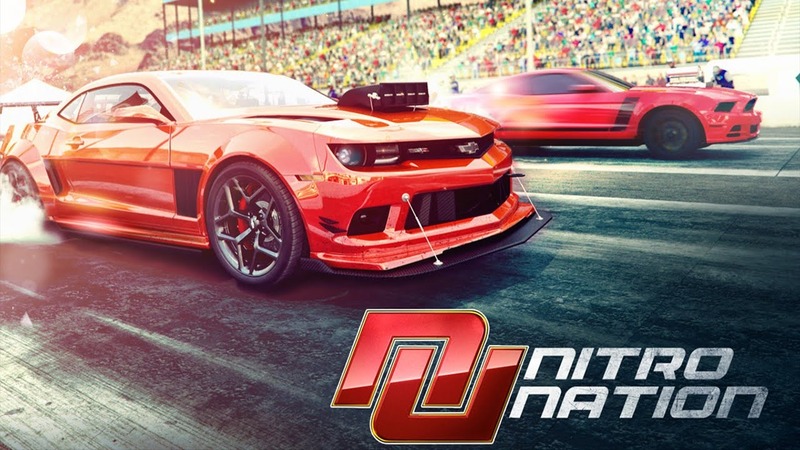 NITRO NATION 6 MOD APK is ready to download!